Beautifully furnished white water view beach front upper level unit on a private beach in an exclusive gate guarded community. 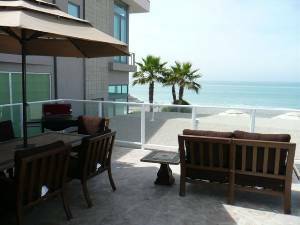 The living area has french doors opening to an ocean view deck with a gas barbeque and deep cushion patio furniture. 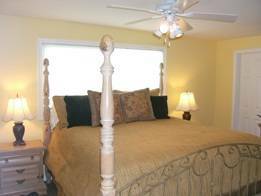 The two spacious bedrooms offer walk-in closets with a king bed, two full size beds, and two twin beds. There is also a queen size sleeper sofa in the living area. 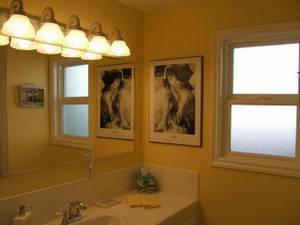 This property was remodeled with new windows, doors, hardware, cape cod moldings/baseboard, new window coverings, carpeting, paint, white tile countertops, and stainless appliances along with new furnishings. Geographically located in an area known as California's Riviera, "one can expect the best coastal weather in Southern California." 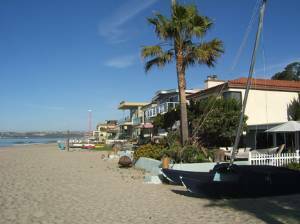 The property is located right on the beach so you can expect to see schools of dolphins, and surfers. 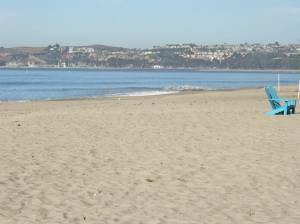 In addition it is near both Doheny and Poche, two of the best surfing spots on the west coast. When my husband and I lived in Arizona, this beach house was our home away from home. We stayed here whenever we came to CA to visit family and could not have been more comfortable. Our hosts made us feel so welcome and took care of every detail so we could just relax. The penthouse is bright and airy with big rooms and plenty of room to kick back and take in the scenery. 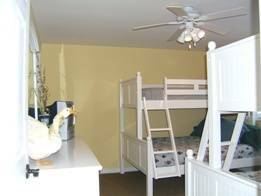 Two giant bunkbeds in one room take care of many guests and the master bedroom is so comfy and relaxing. The kitchen and living room have an unbelievable ocean view and the deck makes the house seem twice as large. We have had such wonderful times with as many as ten guests for a barbeque on the spacious deck overlooking the sand. 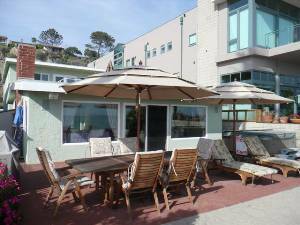 If you want a beach getaway with all the comforts of home, this is the place for you! I enjoyed your place and am looking forward to visiting again when my mother is renting. We are looking forward to visiting again when my mom stays in your place. 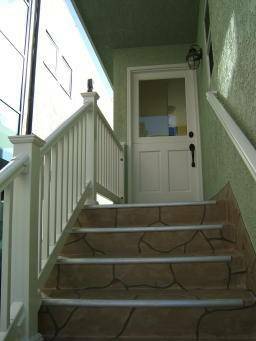 Deposit: 50% of the rent due upon reservation with the balance due 60 days prior to arrival. Cancellations and Refunds: We only charge a cancellation fee if we are unable to rent the unit to another person. Should we incurr any expenses in the process we will deduct them from the deposit prior to making a refund.